WASHINGTON — Americans who support or engage in acts of terror against the United States should have their citizenship revoked, said a group of lawmakers who on Thursday introduced legislation to that effect. The bill submitted to both chambers of Congress by hawkish independent Senator Joe Lieberman, Republican Senator Scott Brown and Republican congressmen Charlie Dent and Jason Altmire come fresh on the heels of the killing of US-born radical cleric and Al-Qaeda militant Anwar al-Awlaqi in Yemen by a suspected CIA drone. That killing was authorized by US authorities in a secret document, drawing fire from civil rights advocates who argued it permitted the execution of a US citizen without due legal process. The so-called "Enemy Expatriation Act" is aimed at US nationals "engaging in or supporting hostilities against the United States." Lieberman said in a statement that "the repeated attempts by the now-deceased Al-Qaeda leader Anwar al-Alwaqi to recruit other American citizens to strike our homeland demonstrates the necessity of updating our laws to account for an enemy who would subvert our freedoms to attack us." Awlaqi's demise in an air strike in Yemen late last month rekindled an American debate over whether the federal government has legal authority to order the killing of a US national who is deemed a terror threat to the United States. Your speech has been ruled an act of terrorism! There for, this FEDERAL court has ruled that you be stripped of citizenship and be sent to one of our 'anti terror' interrogation centers until the US government is satisfied that you will no long pose a threat to the fine citizens and the communities of the United States. TAKE HIM / HER AWAY!!! NAAAAW it could NEVER happen. oh, this way you have no rights and can be killed or shipped over to another country to be tortured. On that note. Why is torture so important? Cannot one simply be injected with sodium pentothol (truth serum) and they will answer questions truthfully? 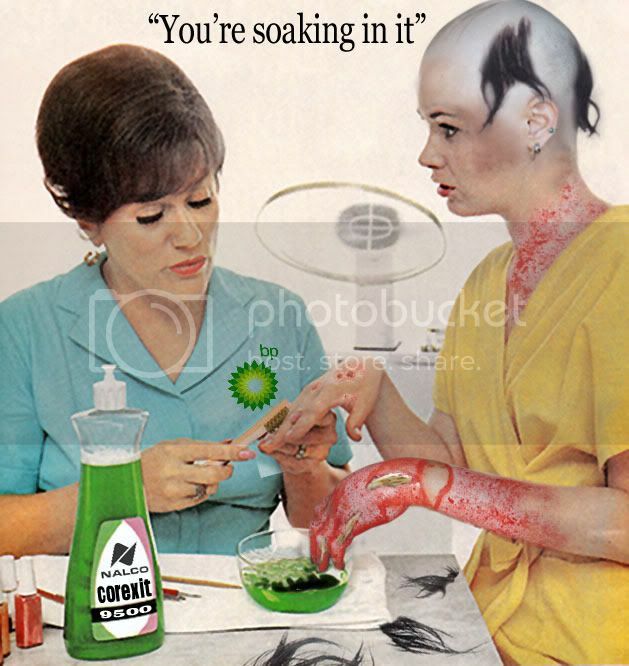 Torture, mayhem, WAR, child sacrifice, destory the family, beastiality ok = evil elite. Just think of the additional problem this creates...Non citizens, citizens who have absolutely no citizenship whatsoever...a person who would be deemed unwanted by any country they might try to seek sanctuary from. But those non citizens would be eligible for nothing. No right to work, no social benefits...nothing. WASHINGTON (AFP) - Americans who support or engage in acts of terror against the United States should have their citizenship revoked, said a group of lawmakers who on Thursday introduced legislation to that effect. The rest are unknown and likely part of the New World Order. Hey everyone, guess what...this fake law being introduced is actually a highly plausible act of treason. It is a direct violation of the constitution, and represents a clear and present danger to the citizens of the US as well as her sovereignty by provoking insurrections. It is aiding and abeding the enemy of the United States which as everyone now knows is the offshore banksters who control our money supply so they can pay off soulless psychopaths like Lieberman to push such insane fake legislation. THIS IS OBVIOUSLY AN EDICT OF TYRANNY MANUFACTURED BY OFFSHORE ELITE BANKSTERS AND TRANSHUMANIST SCUMBAGS. ANYONE INTRODUCING THIS ABSOLUTE CRIMINAL LEGISLATION IS AN OBVIOUS AGENT OF THE NEW WORLD ORDER AND WISHES TO HELP END THE SOVEREIGNTY OF THE UNITED STATES OF AMERICA. THERE IS NO REASON TO STRIP CITIZENSHIP OTHER THAN WHAT IS OUTLINED IN THE CONSTITUTION AND THE ORIGINAL 13TH AMENDMENT. THE ONLY REASON TO BIPASS DUE PROCESS IN STRIPPING A CITIZEN OF CITIZENSHIP WOULD BE IF THERE WAS A PLAN TO ROUND UP MILLIONS OF CITIZENS AND IMPRISON THEM OR EXTERMINATE THEM WITHOUT A TRIAL. THEY KNOW IT AND WE KNOW IT. LIEBERMAN HAS BEEN ONE OF THE MOST DISGRACEFUL AND PATHETIC SENATORS IN WORLD HISTORY AND THIS INCLUDES THE ROMAN EMPIRE! Yeah...you'd think a Jew would be a little sensitive to tactics or laws which would make it easy to round persons up, kill them or put them in concentration camps, or essentially make them a non-person within the US. This country is morally bankrupt and I just can't help but hear MLK's words play over and over in my head. The iron clad fist of corporatism and the global banking cartel are helping to break the backbone of America. 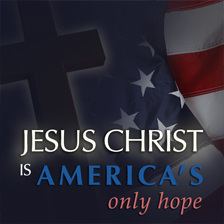 And don't let anybody make you think that God chose America as his divine, messianic force to be a sort of policeman of the whole world. God has a way of standing before the nations with judgment, and it seems that I can hear God saying to America, "You're too arrogant! And if you don't change your ways, I will rise up and break the backbone of your power, and I'll place it in the hands of a nation that doesn't even know my name. Be still and know that I'm God." Someone fax that to the liebernutball! These Senators fail to realize our original founding document The Declaration of Independence, under which the United States existed with several Presidents prior to George Washington. Rights proceed from the Creator, and cannot be stripped away, they are not privileges, nor granted by governments, but our divine heritage. These rights do not depend upon citizenship, but upon our basic humanity. Whoa, whoa, whatâ€™s the problem? Illegal alien Mexicans are not US citizens, THEY are given free health care, education, working permits, etcâ€¦. If you GIVE UP your citizenship, they tax you on everything you own as you â€œcheck outâ€�â€¦ Since that law applies to VOLUNTARY giving up US citizenship, for at least now, the tax would not apply. The advantages aside, Ok, I know, I keep getting hung-up on little legal detailsâ€¦ Can someone point in the Constitution where Congress is granted a power to enact such a law? Is it interstate commerce? Naturalization? Whoa, whoa, what’s the problem? Illegal alien Mexicans are not US citizens, THEY are given free health care, education, working permits, etc…. If you GIVE UP your citizenship, they tax you on everything you own as you “check out”… Since that law applies to VOLUNTARY giving up US citizenship, for at least now, the tax would not apply. The advantages aside, Ok, I know, I keep getting hung-up on little legal details… Can someone point in the Constitution where Congress is granted a power to enact such a law? Is it interstate commerce? Naturalization? They have no such power. It is a fake law to allow for depopulation/extermination/enslavement. There can hardly be any other reason for such an edict of tyranny. Anti government blogs, critism, or language which could be construed as critical of the pseudo government will most assuredly be included in their twisted reasoning. That means me, and you. I feel honored to have met like mined souls, if only online. Stay true, stay ready. You understand that would include this site correct? Oct 12, 2011 - Introduced in Senate. This is the original text of the bill as it was written by its sponsor and submitted to the Senate for consideration. This is the latest version of the bill currently available on GovTrack. This Act may be cited as the â€˜Enemy Expatriation Actâ€™. (b) Technical Amendment- Section 351(a) of the Immigration and Nationality Act (8 U.S.C. 1483(a)) is amended by striking â€˜(6) and (7)â€™ and inserting â€˜(6), (7), and (-8). 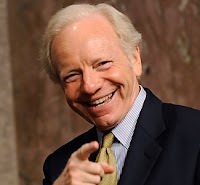 Last January, four-term senator Joe Lieberman (I-CT) announced that he would not seek reelection in the upcoming 2012 elections. This seems to have relieved any pressure of facing his constituency for approval, allowing him to push for some of the most draconian legislation in the history of the United States. Or, perhaps, he is just auditioning for a more powerful position like Secretary of Defense or Secretary of the DHS. Besides his renewed pressure on Google and Twitter to openly censor the Internet, Lieberman's desire to crush all dissent against the war machine has manifested in bills like his Enemy Belligerent Act, his Internet Kill Switch bill, and the recently introduced Enemy Expatriation Act. Unfortunately, the most egregious parts of the above mentioned bills already found their way into law under the recently passed National Defense Authorization Act (NDAA) which seemingly renders any further discussion of these bills as somewhat redundant, but they certainly won't be critically discussed in the corporate media. If Occupy and Tea Party groups are treated as terrorists, does that render them among the 'associated forces' of groups 'engaged in hostilities against the United States' for whom the NDAA authorizes military detention without trial? Just to be clear: no one has a good answer here, which is precisely the problem. Even within the four corners of the NDAA itself (hereâ€™s the full text of the bill), section 1031(b)(2) includes among 'covered persons' subject to potential military detention 'any person who has committed a belligerent actâ€¦.' What, exactly, is a belligerent act? 'Hostile' and 'aggressive' are synonyms, and while the term has an established (though not entirely defined) meaning in the context of international war, its precise meaning in the context of the NDAA remains unspecified. And finally, the NDAA declares the Internet an "operation domain" in the war on terror allowing for the Pentagon, "upon direction by the President may conduct offensive operations in cyberspace." The authority goes even further than passive Internet censorship. The Pentagon also claims the authority to use military force as a response to serious cyber attacks. The Pentagon announced their efforts (PDF) to recruit and train an army of cyber soldiers as funded by the NDAA. How bad each of these bills are separately only reflects the magnitude of what Lieberman and his hawkish ilk were able to accomplish in the NDAA. No other elected official can claim the success of Lieberman in terms of ramming through increasingly tyrannical legislation. But nearly all elected officials are responsible for passing the NDAA and its predecessor the USA PATRIOT Act. So, protest of these individual bills are futile, much like the overwhelming public opposition to the bank bailouts was futile in swaying the "deciders." As Lieberman departs the Senate in a blaze of tyranny, Americans will most certainly continue to be burned unless the people wake up. If this* doesn't completely 100% backfire on them, I'm not sure what will. They're insane for doing this. This "Reverse-Psychology" that they're using really isn't going to work. It's not Obama's fault, it's the people that control Barrack Obama... and Barrack Obama isn't even his real name, the real name is Barry Soetoro. -- The entire thing is fake -- he doesn't even control himself, he's a puppet. The United States Federal Government along with the major government Agencies have been compromised. --And if the government Agencies were not compromised, they were created for disingenuous purpose in the first place. Welcome to North Korea, 2099. And people still tell me with a straight face that we're not living in a repeat of Nazi Germany. When Barack Obama inked the National Defense Authorization Act on New Yearâ€™s Eve, the president insisted that he wouldnâ€™t use the terrifying legislation against American citizens. Another new law, however, could easily change all of that. Whatâ€™s more, the government can decide to do so without bringing the suspected troublemaker before a court of law. Under the legislation, â€œhostilitiesâ€� are defined as â€œany conflict subject to the laws of warâ€� and does not explicitly state that charges against suspects go to court. When Obama signed NDAA on December 31, the president said that his administration â€œwill not authorize the indefinite military detention without trial of American citizens.â€� Added the president, â€œIndeed, I believe that doing so would break with our most important traditions and values as a Nation.â€� But by breaking off ties between citizens â€” American-born or otherwise â€” the harsh realities of NDAA can be forced on anyone in the US if Washington decides that it is in the countryâ€™s best interest. Traitor Charlie Dent speaking on expatriation act. Before the vote, Hitler made a speech in which he pledged to use restraint. "The government will make use of these powers only insofar as they are essential for carrying out vitally necessary measures...The number of cases in which an internal necessity exists for having recourse to such a law is in itself a limited one," Hitler told the Reichstag. What is the f-ing difference? Yes. Especially this site. Can't live in fear of living life.